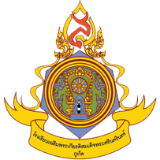 Chalermprakiatsomdetprasrinakarin School (aka Srinagarindra, the Princess Mother School, Phuket) is looking for additional English Teachers to teach M1 to M6 (grades 7 to 12 students). Preference is given to Native English Speakers (USA, Canada, UK, Australia and New Zealand) in Phuket. However, Non Native English Speakers are welcomed, but you will have to provide a recent TOEIC test score. The successful candidate will teach up to 20 hours per week, and the salary is 35,000 baht per month. The school will also provide all documentation for your work visa and work permit. The positions are for an immediate start date, and the contract is for one year (12 months). To be considered for an interview, email the following documents to swpkmlep@gmail.com. 3) Bachelor’s Degree (Preferably a Bachelor's Degree in Education). 4) TEFL, TESL or CELTA Certification. 4) A recent Police clearance document (from your home country). 6) TOEIC test score report (Non Native English Speakers). Only selected candidates who have submitted all requested documents will be contacted for an interview.